Assia Damianova is special counsel in the Capital Markets Group in Cadwalader’s London office. Her practice focuses on complex financing transactions involving a wide variety of asset classes. 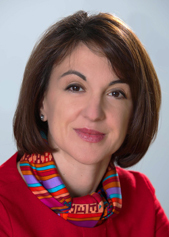 Assia has extensive experience with derivative products (including credit default swaps, credit-linked notes, total return swaps, currency and interest rate swaps, equity derivatives, repos and other derivative instruments) and securitisation transactions (including capital relief trades and NPL transactions ) and also advises on related regulatory issues. In addition, she advises buy-side clients on a wide range of trading, compliance and portfolio management issues. Assia received a Bachelor of Laws in 1994 from the University of Wales, College of Cardiff. Before that, she attended the Law Department of Sofia University (1988-1991) and also attended a one-year course in Business Administration and Eastern European Studies. Assia took the Legal Practice Course at the College of Law in Chester (1994-1995). She is admitted to practice in England and Wales. Advising a major U.S. buy-side participant on accessing the LCH.Clearnet platform to clear interest rate derivatives. Advising a collateral manager in relation with its appointment during the restructuring of seven structured deals. Advising broker-dealers and buy-side clients on issues relating to EMIR, AIFMD, short-selling, client asset protection and counterparty risk. Advising on a number of de-risking, ratings-related and other restructuring projects linked to structured products and derivatives. Contractual Recognition of Bail-In – Are You Ready? What’s Next for the Basel Securitisation Framework? The Bribery Act 2010: Are You Ready?